W.G. Sebald is thought by many to be one of the great writers of the last part of the twentieth century. He was tipped for the Nobel Prize for literature but sadly he died at the age of 57 on 14 December 2001. He had emigrated from Germany in his twenties, and worked as an academic at the University of East Anglia, where in 1987 he became Professor of German Literature and, in 1989, Director of the newly established British Centre for Literary Translation. Although he had published energetically on German literature, his career as a literary writer started in 1990 and lasted only eleven years. His books in the newly-invented genre that he called prose fiction were Vertigo, The Emigrants, Rings of Saturn, and Austerlitz. The genre is part travelogue, part history, part fiction, with an intense inwardness and, every few pages, a diagram or photograph, perhaps blurry, perhaps sharp, invariably without caption, invariably suggestive. Ariadne’s thread: In memory of W.G. Sebald is a memoir, based on diaries and reminiscences, by Philippa Comber. Although without pictures and without much fiction, her book is Sebaldian in style. 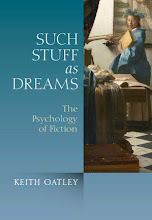 It’s not a memoir of the ordinary kind, based on a sketch of events in a person’s life. Far more engagingly, it’s a memoir of a friendship, of Comber and Sebald—Max as he liked to be called. Comber had trained in psychology and psychotherapy, and had moved to Norwich to run a day centre there. By chance in August 1981, with a group of friends who went to a movie together, she met Max. Max Sebald is very proper. In Ariadne’s Thread nothing physical between him and Comber is mentioned. 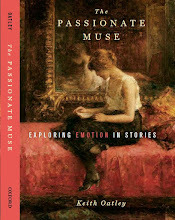 Instead the book depicts an intimacy of affection and an ability shared by both to take part in meandering conversations. 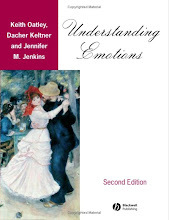 This is one of the best books I know about a relationship of this kind. In reading, friendship is restored immediately to its original purity. With books there is no forced sociability. If we pass the evening with those friends—books—it’s because we really want to. When we leave them, we do so with regret and, when we have left them, there are none of those thoughts that spoil friendship: “What did they think of us?”—“Did we make a mistake and say something tactless?”—“Did they like us?”—nor is there the anxiety of being forgotten because of displacement by someone else. All such agitating thoughts expire as we enter the pure and calm friendship of reading (my translation). In reading, we can befriend a book. At the same time we come to know a certain aspect of the book’s author. So social are we human beings that, just as with a new friend, we often want to know not just that aspect, but all about the author, his or her day-to-day social world, habits, vicissitudes. Comber’s book offers readers of W.G. Sebald some of that: in his social life Max was rather diffident, among his habits were hoarding things in case they might come in useful, among his vicissitudes were that although he was close to his grandfather he did not get along at all well with his father. Proust pointed out that an author’s self-whom-we-meet-when-reading is very different from the author’s day-to-day-social-self. 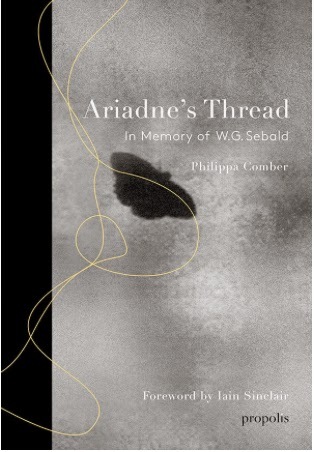 Without contradicting what Proust says about relationships with books, or with authors, it seems to me that Adriadne’s Thread gives us a welcome triangulation with Sebald as Max. In her book, Comber extends the friendship we have with Sebald’s books. By identifying with her, she enables us to take part in a friendship with his social self. When we read a piece of artistic literature, we can take it in so that it becomes a piece of our own consciousness. The accomplishment of Sebald in his prose fictions was to offer us such pieces of consciousness with, as I remember he put it, a certain density of thought. The accomplishment of Comber, in her memoir, is to write about her friendship with Sebald in the same kind of way. 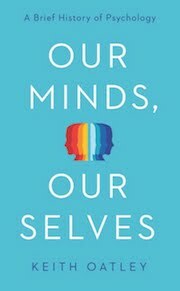 The book offers an intimacy with us readers such that its happenings, revelations, and thoughts, can gently become our own. It is reflective, and of a kind that we can take into our mind. Lovely! Philippa Comber (2014). Ariadne's thread: In memory of W.G. Sebald. Norwich: Propolis. Marcel Proust (1905). Sur la lecture. Amazon Kindle.